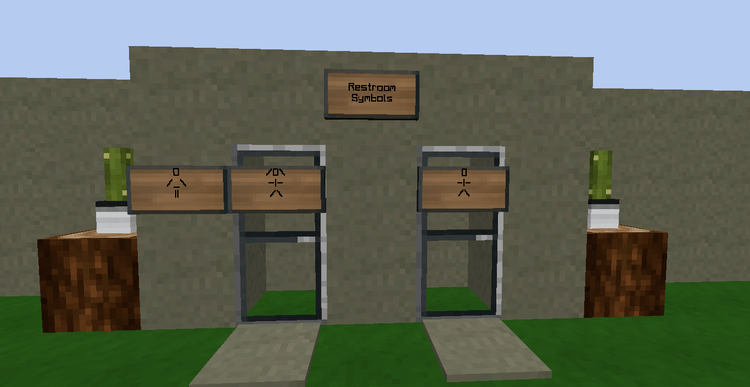 Passthrough Signs Mod 1.12.2/1.11.2 written by dmillerw, Girafi is a “fix” version for item sign of Minecraft. The sign is an item from original Minecraft. It is made from wooden plank and stick. It can be put on the wall, on the floor and different blocks, and then, the players can write in it. There is an inconvenient point about this item sign. It is the fact that if we put this signed cover another specific block, for example, chest, this sign will shade the block, and then, the player will have difficulty in interacting. It is similar to the gate or oven. To avoid this inconvenience, Passthrough Signs Mod is born. As same as its name, the player can free to “pass through” the sign without any obstacle. The mod supports many items such as the trunk, gate, oven or even item frame and painting. You can download the latest versions of this mod in the link below and install follow instruction. Have fun! Put jar file of the mod you have downloaded into mods folder and then run Minecraft. Done! Journey Map 1.12 – BEST MINIMAP MOD EVER! BUILDCRAFT 1.11.2 OFFICIAL IS OUT!!! Copyright © 2019 Mc-Mod.Net. All rights reserved.